Charter schools are part of the education marketplace in Arizona. Charter schools provide parents and students with many educational choices. An important part of making a choice in a marketplace is gathering information. The information on this page is provided to guide you in your quest for information as you consider your education options. View general information about charter schools in Arizona. 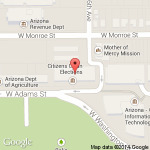 View the Arizona Charter Schools Association's Education Evaluator. Using their tool, you can access all Arizona public school data. Each charter school has its own mission and subscribes to certain teaching philosophies. In researching schools, parents and families are encouraged to consider what environment is the best match for their child’s interests and needs. To assist parents and families, the U.S. Department of Education ("USDOE") Office of Innovation and Improvement has developed a publication titled, Choosing a School for Your Child. For your convenience, we have provided a document that includes select guiding questions from the USDOE publication, as well as a link to the USDOE website where a complete version of the publication may be accessed. In an effort to ensure all of its charter schools provide quality educational choices for parents and families, the Board has established academic performance expectations for each of its charter schools. Through its website, the Board has made publicly available each charter school’s academic performance, which is represented in a dashboard format. The documents below provide information on how to access a charter school’s academic performance dashboard and information on interpreting the results found on the dashboard. Additionally, the Arizona Department of Education (“ADE”) releases school report cards for each public charter and district school in Arizona. Access the school report card issued by the ADE for a specific school. The Arizona Charter Schools Association (“Association”) has developed a tool to assist parents, educators, business leaders and others in navigating Arizona’s education marketplace by allowing users to easily compare information for multiple schools at once. Through the Association’s “Education Evaluator”, users may compare student achievement data, enrollment information and student funding data for all public charter and district schools in Arizona. The Board oversees more than 500 charter schools throughout Arizona. To find a particular school or to identify charter schools in your area, please visit ASBCS Online. The School Search in ASBCS Online allows you to search for a school by grade levels served, name, city, or zip code. The search results include the address, phone number and grade levels served for the school or schools that meet the search criteria. Clicking on the school name in the search results provides detailed information about the school, including the school’s academic performance. For those interested in enrolling their child in an online school, a list of Arizona online instruction (distance learning) charter schools has been included below.